The easiest and best way to get a little daily romance guidance and to align your heart with the love vibe for the day is by reading your romance horoscope. There are many available online, and some are better than others. The #1 place to get your daily love horoscope is Tarot.com. You can visit this site each day or sign up to become a member, set your email preferences, and you'll be sent a daily love horoscope by email each morning. The horoscope will provide your general love forecast for the day, as well as the vibe for your specific Sun sign. Astrocenter offers free love horoscopes online, or they will deliver them to your inbox every morning. You can either bookmark the page and visit daily, or you can create a personal profile and subscribe to daily, weekly, and monthly horoscopes, including the daily love horoscope. Astrocenter also offers an Astro Insight report that is delivered instantly by email, and there are many other freebies available on the website. Horoscope Astrology Tarot offers free daily, weekly, monthly, and yearly love horoscopes on the website. Here, you simply click the link after your astrology sign's love horoscope introduction to read the full daily love horoscope for your sign. Horoscope Astrology Tarot also offers free daily business, money, and Chinese horoscopes. 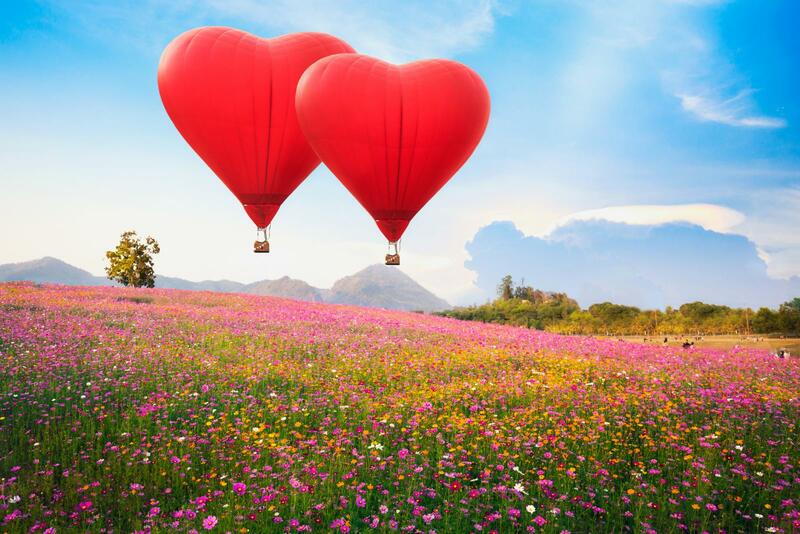 Suppose your daily love horoscope says you're in fighting territory with your romantic partner, or a new love is about to come into your life. That doesn't mean the stars are predicting either of these things will happen, rather they suggest you should watch your tongue if your spouse becomes aggravating or get out and about, socialize, and be seen if you're interested in finding a new love interest. Love horoscopes are not personal or predictive. Rather, what they say is to help you better understand your moods and opportunities and deal with them as situations arise. Often, they are written off as fun fluff but if used correctly, they can actually be a helpful tool. Daily love horoscopes are created by professional astrologers. However, if you're thinking the astrologer just gazes up at the stars and writes blurbs about romance, think again. It's actually a calculated process. The astrologer writing the love horoscope looks at the day's chart and determines what the planets in the sky are up to, and then intuitively works out how it's going to affect each Sun sign's day-to-day relationships. However, such forecasts can become problematic because they're not personal and can't be relied on to tell you very much about what's actually happening in your personal day-to-day love life. Every day, the sky whispers a message about love and romance that each person hears in a uniquely different way. Daily love horoscopes are creative astrology meant to help you understand and align your mind, body, and spirit with the unique love vibration of each passing day. So, have some fun, enjoy reading, and take advantage of a little daily advice and guidance on your love life.